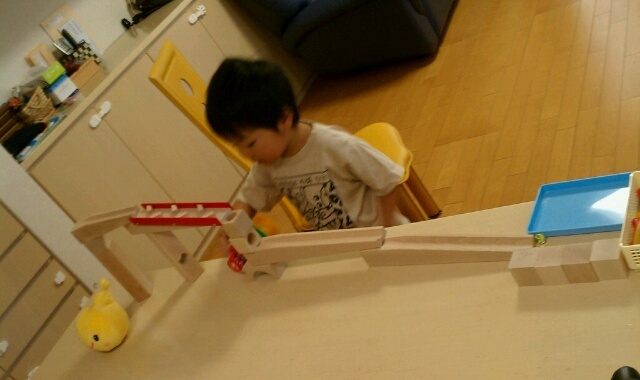 My little monster built this ピタゴラスイッチ by himself. He looked the ball rolling again and again. He looked very satisfied with his ball lane.